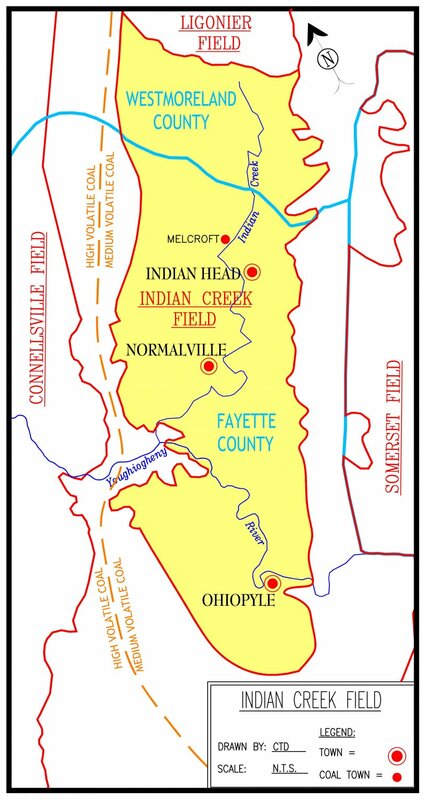 Indian Creek Coalfield (sometimes called the Indian Valley Coalfield) is a small coalfield situated in Saltlick, Springfield, and Stewart Townships in Fayette County, and Donegal Township in Westmoreland County. It is a medium volatile field focused on extraction of the Lower Kittanning seam, which averages 44 inches in thickness there. The railroads that took the coal from Indian Creek include the Indian Creek Valley Railroad (started in 1906 and abandoned in 1976), the Blair Brothers Railroad in Donegal Twp., and the Baltimore and Ohio running along the Youghiogheny River.